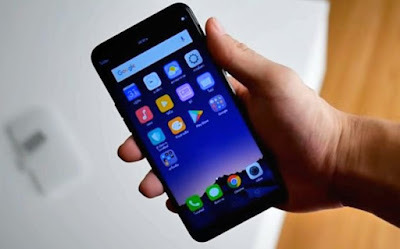 Oppo A83 was finally launched on Wednesday in India at Rs 13,990. The Oppo A83 comes with features like AI Beauty recognition and HD display with an 18:9 aspect ratio. The Oppo A83 will be available in two colours Black and Gold which available from January 20 on Amazon, Flipkart, and all the offline stores in india. The Oppo A83 is a dual SIM smartphone that runs Android 7.1 with Color OS 3.2 and 5.7 inch HD+ (720×1440 pixels) LCD 18:9 display.The Oppo A83 is powered by a 2.5GHz octa-core processor with 4GB of RAM and 32GB of internal storage that can be expanded upto 256GB via a microSD memory card.Talking about phone camera Oppo A83 has a 13-megapixel rear camera supported by an LED flash and 8-megapixel front camera with AI Beauty mode to take better selfies. in the Press release oppo company said that “AI will intelligently optimize the scene to cleverly integrate the portrait and background as if the photo has been touched up by a professional.”The smartphone comes with face unlock feature for security purpose and Oppo claims that it can unlock the phone within 0.18 seconds.For better connectivity options The Oppo A83 has the Wi-Fi, Bluetooth, GPS, 3.5mm audio jack, OTG, and 4G VoLTE . The smartphone comes with 3180mAh battery which is good enough. PREVIOUS POST Previous post: Now You Can Backup and Restore Contacts to Google Drive Using Truecaller. NEXT POST Next post: New Maruti Suzuki Swift Will launch at Auto Expo 2018 Bookings Open.